DEF provides you with a service web portal, which optimises the operation of your fire safety system. def-sentinel.com is a user-friendly and secure interface, which provides you with real-time monitoring of the development of services of your fire safety installations and allows you to computerise all reports, intervention reports, analytics, contract documents, invoices, quotes, etc. relating to your contract. 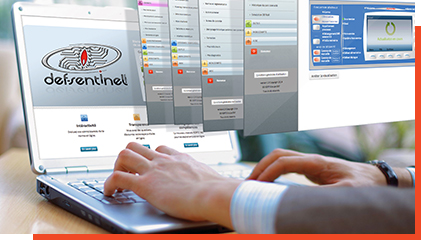 The features of SENTINEL meet all the requirements of NFS-61933 by enabling you to monitor interventions, inspection reports, the technical record of the installation, as well as up-to-date administrative documents.